It’s been a busy few weeks here at Aimtell. Between expanding our team, maintaining the highest level of support possible, and creating roadmaps for all our new feature requests we’ve learned that sleep is certainly a luxury. 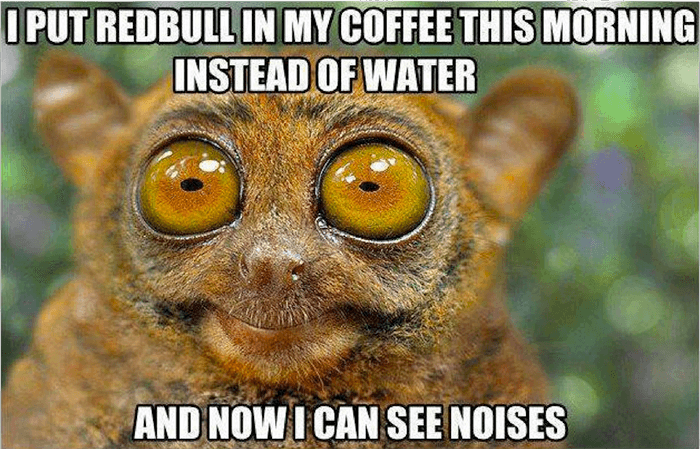 But that’s ok. We’ve also learned that if the effects of coffee begin to fade, you can switch to RedBull. So thanks to this miraculous combination and many extremely late days mornings nights, we’d like to share a couple new features which are available for all users starting today! Quite possibly one of the most heavily requested features in months, we are happy to announce that starting today users can send custom push notification icons with their campaigns. In order to add a custom push icon simply create your campaign as normal and click “Upload Icon” when you get to the campaign editor. We will automatically upload your image and crop it to the proper size. Of course this is completely optional and if you don’t supply an icon we will use your default website icon as we did in the past. You can also send individual push notifications with custom icons (available under an individual subscriber) and via our REST API, so be sure to check that out. Just this past week Opera announced release of their latest browser. Their latest update brings several awesome updates and features – including web push notifications. So, we are happy to announce that Aimtell now supports Opera website visitors as well! With a market share of around 5% of mobile browser web traffic , that means most of you should anticipate to see a nice increase of new subscribers! There is absolutely nothing you need to as a user to take advantage of this as everything has been updated on our servers. Although, perhaps it might be interesting to create yourself a custom segment for Opera browsers, just to see how many new subscribers you get! Lastly, just a reminder to all that a couple weeks ago we launched support for RSS Feed notifications. RSS Notifications make it easy to automatically send notifications to your subscribers based on your favorite feeds. We’ve seen many users take great advantage of this – from automated blog post notifications to new items for sale. If you’d like to learn more on how you can combine your RSS Feeds with your website push notifications be sure to check out our blog post or documentation. Well there you have it. If you have any questions about any of the new features be sure to check out our documentation center or reach out to us and we’ll be happy to help. If you have any features you’d love to see next update let us know in the comments below! P.S. We don’t encourage/promote combining Coffee and RedBull. Please consult your doctor before attempting such radical behaviors ???? Tags: digital marketing, product feature, web push notifications.